Natural, healthy, dietetic, vegetarian food. 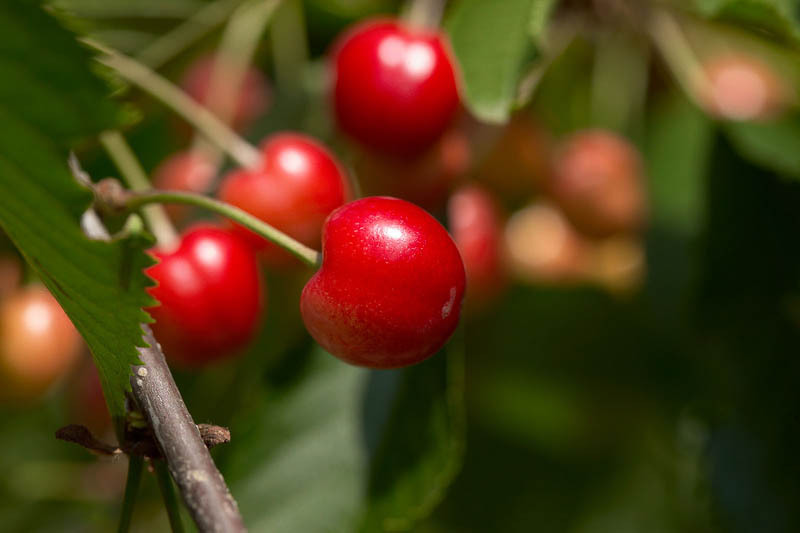 Close-up of fresh, sweet, tasty cherry on branch. Cherry tree branch with ripe red fruits. Fruit-culture, fruit-growing.